St. Thomas J.O.Y. 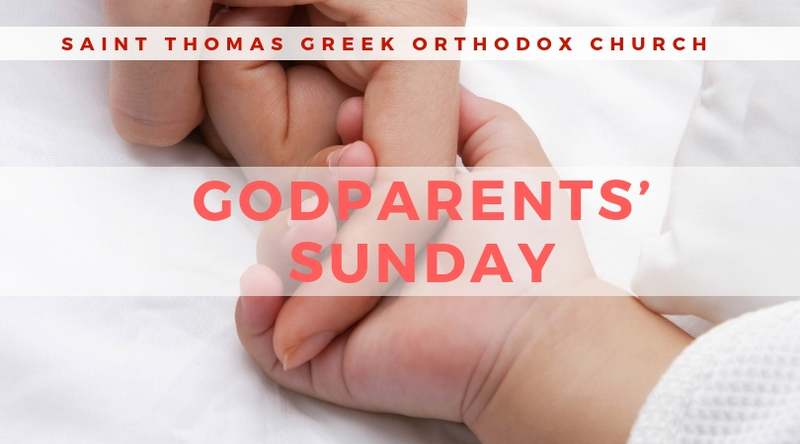 invites all St. Thomas families to participate in Godparents’ Sunday on February 10, 2019. Come share your faith with your godchild by celebrating the Divine Liturgy, receiving Holy Communion, and enjoying a wonderful brunch together. The Brunch will follow the Divine Liturgy in the Danielle Kousoulis Greek Cultural Center. The cost is $10 per person and $5 for those 5 years and under. To RSVP, reserve a table for your family or for more information, please contact st.thomasjoy@gmail.com.